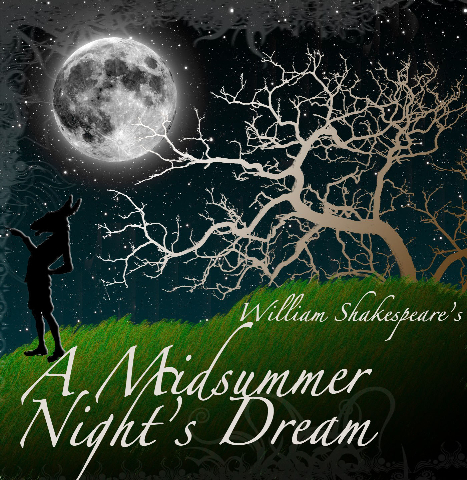 Even if your best beauty sleep occurred during Shakespeare study in class, you probably know that “A Midsummer Night’s Dream” involves mischief and romance. During your waking hours, you also were likely aware that misbehavior, “cliques” and plenty of drama involving relationships were all part of the school experience. So it makes sense to set Shakespeare’s much-loved comedy in an academic setting --- say, Athens High School in the 1980s. (“Midsummer’s” set in Athens, Greece). It’s working quite well for a current collaborative staging between Boca Raton-based Evening Star Productions, a non-equity professional theater company that places young adult actors alongside veterans, and Sol Children Theatre, which is under Evening Star’s umbrella. All of the hurt feelings, comical chaos and magic of “Midsummer” come to vibrant life in an inventively high-tech, late director John Hughes cinematic-style production featuring talented youth and adults. It’s a vivacious, gorgeous production with music and vibrant dance that elucidates the themes of “Midsummer” in a way modern audiences can relate. At the same time, the production retains the Bard’s beautiful poetry and the play’s famous lines. Can’t you just picture a teenage prankster, regardless of the time period, salivating at the chance to use magic to “get even” with someone she dislikes? This production begins not live on-stage, but on a projection screen, as though we’re watching a John Hughes-directed movie. At Athens’ Midsummer Dance, we see horseplay, including a student spiking another’s drink, a student placing a donkey’s head over another’s, fighting and similar shenanigans. Suddenly, we’re in a brightly-colored home, where what looks like a Barbie doll with wings rests atop a radio and a stuffed animal in a bed. It’s the home of Hermia, an Athens student in trouble with her folks. It seems she and Demetrius had some sort of fight or disagreement at the dance and “Principal Bueller” (obviously a nod to the Hughes’ comedy “Ferris Buelller’s Day Off) will be told. In a traditional production of “Midsummer,” the setting of law and order is the palace of Duke Theseus. In this production, that setting becomes Hermia’s house and the nearby school. To get away from authority and rule, everyone escapes to a forest, where magic and mischievousness reign. Drama, in more than one sense, is also the order of the day; the play-within-a-play, “Pyramus and Thisbe,” is put on by Athens High’s drama club. In set designer Dean Landhuis’ visually striking work, foliage magically is “curtained in” or drops down and the house expands to suggest a forest setting. In addition to the lovers, the otherworldly characters, wearing body art-like make-up and exotic costumes, appear to perform their mischief and magic. The lighting design, also by Landhuis, creates an appropriately non-realistic effect for the forest scenes. It’s there that King Oberon (a commanding, power-relishing Justin Schneyer) and Queen Titania (a spirited, elegant Cindy Thagard) reign. While all the young thespians stand out, Rylee Siegel as Nikki Bottom must be singled out. She imbues the character with infectious, all-out enthusiasm and ambition, all of which sounds and looks natural. We never get the sense we’re watching a “child actor” showing off for the audience. The small Siegel fully inhabits the hyper Bottom, playing her with a loud but never forced jumpiness and confidence one normally sees in seasoned performers. Siegel’s brother, Ryan Siegel, plays Demetrius with a different type of energy, albeit one that’s just as convincing. His Demetrius is in knots, an angry, fed up young man who can’t seem to get away from his pursuer and fierce admirer, Helena, played nicely as an eager but awkward teenage outcast. Lysander, Hermia’s love, is Lysandra in this production. It follows, then, that Lysandra’s a lesbian, given that she loves Hermia. Since this production is set in the 1980s, 11 years after the Stonewall Uprising of 1969 gave momentum to the LGBT movement, it’s hardly a stretch by director Seth Trucks, who adapted the play for the 80s setting, to substitute Lysander for Lysandra (played with a loving, outward nature by Kayla Asuoty). In one of the humorous and attention-grabbing scenes, Lysandra and Demetrius, standing on either side of Helena, fiercely pull her toward them, each grabbing and pulling an arm. It’s as though they’re pulling on a rope in a hard-fought battle of tug-of-war. But the actors playing the lovers make it clear they’re not engaged in a tug-of-war, but a hug-of-war, desperately wanting to win their lovers over. Through Aug. 21. Performances are at 8 p.m. Fridays and Saturdays as well as 2 p.m. Saturdays and Sundays. Sol Theatre, 3333 Federal Highway, Boca Raton. Tickets are $20 for adults and $10 for students. Call (561) 447-8829 or log onto www.eveningstarproductions.com.